Largest Jackpot Ever: Mega Millions at $1.6 BILLION! Billion Dollar Mega Millions Jackpot TONIGHT! RECORD HIGH Mega Millions Jackpot $970 Million this Friday! NY Take 5 Jackpot Winner! UPDATE: $758 MILLION Powerball Jackpot Prize WON! Update: Powerball High Jackpot $435 Million Won! How are Smart Picks calculated? *NEW* Manual/Tutorial for Advantage Gold! 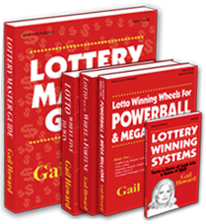 The Lottery – How to turn a game of luck into a game of skill! Why upgrade to Advantage Gold?